What do you mean customers don’t know what they want? If I’d asked customers what they want, they’d have said more convenience and relevance. Look familiar? I’ve riffed on that Henry Ford quote about faster horses, yada, yada. It’s not too far off from what customers would theoretically have been seeking in faster horses. I altered that quote to fit a modern day phenomenon: 3D printers. If you haven’t paid attention to them yet, these are machines that manufacture physical, 3 dimensional objects. These objects can be solid, or have more intricate internal workings. One leading manufacturer is MakerBot. 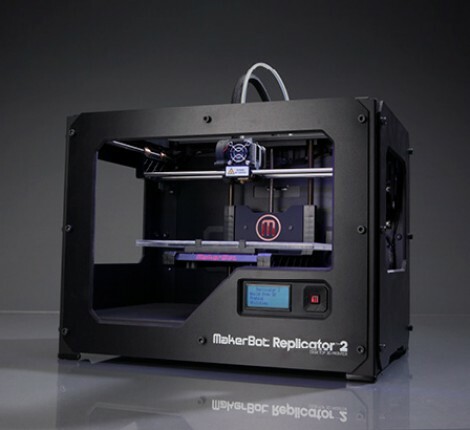 In September it released its latest 3D printer, the Replicator 2. Why is this relevant to a discussion on “customer wants”? Because 3D printing is one of those technologies that holds high disruption potential and is a significant departure from existing products. In other words, it’s all the things that disruptive-innovation enthusiasts look for in innovation. And many of the same people will argue such innovations cannot be identified via customer needs and desires. There is truth there, but the argument is stunted, incomplete, even glib. It’s the inventor’s argument, not that of the innovator. Start from the position that we, as humans, have a pretty good idea of what we want. Define this as our job-to-be-done. We are a bundle of many, many varied jobs-to-be-done. We have personal jobs, family jobs, social jobs, workplace jobs, athletic jobs, etc. The global economy runs by finding ways to satisfy these jobs-to-be-done. I have heard the argument that customers cannot express all their jobs, that they have latent needs. I tend to side with Tony Ulwick’s view that latent needs are a myth. I do think it can be challenging to get at all the jobs-to-be-done a customer has. But I ascribe that more to the methodology of eliciting them than to the idea that customers cannot express them. There are good ways to understand customer needs and wants, such as Strategyn’s Outcome-Driven Innovation, Gerald Zaltman’s ZMET, and Stanford d.school design thinking concepts. But the key point is that customers do know what they want. Their jobs-to-be-done are actually fairly stable. They are the keepers of the source basis of success. When some people pronounce that “customers don’t know what they want”, I worry that they’re actually operating under the #1 scenario. They don’t really understand what jobs are valid and underserved (e.g. see Cuil’s ill-fated attempt to displace Google). They’re pursuing a Hope Principle. Hey, someone always wins the lottery too. It’s the #2 scenario where the potential for success exists. But it’s not guaranteed. Ideas are generated to improve the outcomes of jobs-to-be-done. Who generates them? Entrepreneurs. Corporations. Customers themselves. Researchers. Here’s where the “customers don’t know what they want” concept has more validity. There’s no reason a customer is uniquely positioned to generate the best ideas. Others may be focused on new technologies, adjacent market trends, biomimicry, innovations pulled from distant fields, etc. This is where the art and magic of innovation surfaces. The fun creative part, if you will. Ideas which best improve outcomes on jobs-to-be-done have the advantage here. Each idea will do so to varying degrees. The ones that best fit multiple jobs-to-be-done and significantly improve outcomes for those jobs win the market. Invention is the creative act. Innovation is the adoption of an invention to improve jobs-to-be-done. Medical When I need to provide a prosthetic replacement for a patient… I want a prosthetic that matches the patient’s specific size and characteristics. Reduced time and cost to provide a perfect-fit replacement for the patient. Pharma When I am on a drug regimen for a condition… I want to have my pills available as I need them. Reduced time to procure the pills I need. Fashion When I am getting dressed for various activities… I want accessories tailored to my unique style. Increased personalization in my daily look. Education When I am teaching kids about a specific subject… I want to provide physical objects that aid hands-on learning about the concept. Increased understanding of the topic. Will 3D printing take off? Or will it be the new version of a kitchen bread-making machine (cool concept, never used much after getting one)? I’m optimistic on 3D printers, as I can see them fulfilling a number of jobs-to-be-done. But the key point here is that customers do know what they want. Now let the Henry Fords and Steve Jobs of the world dazzle us with their ideas to better serve the outcomes of our jobs-to-be-done. 6 Responses to What do you mean customers don’t know what they want? 3-D printers have fascinated me every since I first heard of them. And I agree there are numerous use-cases where these devices can provide value to what people need to get done. For Ford, most would never imagined going from the horse to this box like thing with four wheels and goes by itself. But they could have said “I need to get from point A to Point B faster than I do right now and with these hassles”. In the case of the iPod, people were never going to say (at that time), I could really use a device that can hold every piece of music I own with a thing called ‘playlists’ that get me out of making all of these mixed taped! In both cases, they saw needs whether voiced or not, and innovated the solution that was far superior to the current day solution. Time spent understanding the user needs and the current “outcomes” people go for by using a product is at its essence one of the best ways of finding that faster horse! I like the way you’re focusing the design effort on the success metric. It’s all a matter of perspective, and choosing the right focus for it. I hope more customer experience managers will seek out their branding and advertising departments and their R&D departments to get their hands on whatever metaphor research and jobs-to-be-done research that exists in their company, and use it to re-center their CEM strategy — and if it doesn’t exist, insist that these departments adopt it so they’ll be on the mark with designing solutions and communications that maximize relevance and resonance to customers … best path to excellent customer experience. Good insights, Hutch. Applies equally to product managers and salespeople who most of the time don’t put enough effort into front-end analysis to fully understand customers’ needs and desired outcomes. That said, from my experience, customers can’t always tell you what they want, but they can always tell you what they don’t want. That’s why we have proposals, pilots and prototypes – and another chance to listen and learn.